Throughout the 1620s and 1630s traffic on the North River moved steadily between New Amsterdam-the capital of New Netherland, located on the island of Manhattan-and Fort Orange, the outpost 150 miles to the north, which would eventually become the city of Albany. But, as Henry Hudson discovered on first exploring the region in 1609, the river grew shallower about halfway up. Dutch sea captains soon realized it made sense to move cargo onto lighter vessels once they reached this point. In 1652, a group of about 60 Fort Orange settlers moved south to this spot and formed a village. They named it Esopus after the Esopus Creek, a waterway that fed into the river here, and along whose fertile banks they farmed. For a time after the founding of the village relations were peaceful, but eventually the two sides squared off in a series of bloody encounters called the Esopus Wars. In 1657, Peter Stuyvesant, the director-general of New Netherland, built a stockade to protect the Dutch, and renamed the village Wiltwyck. 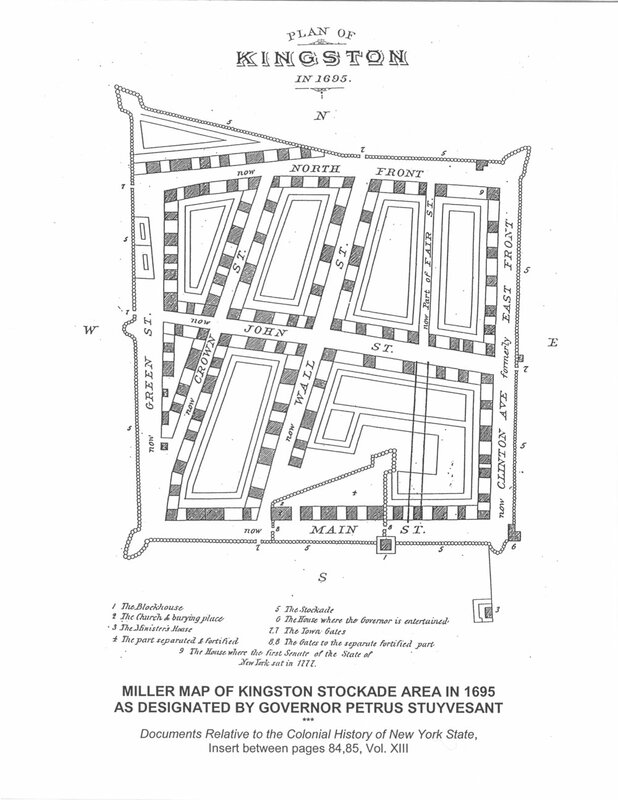 In 1669, under English rule, the town-now the third most populous settlement on the river-was renamed Kingston. In 1777, amid the turmoil of the Revolution, patriot leaders met in Kingston and declared the new state of New York. Kingston thus became the first capital of New York. At least in the short run, it wasn’t the wisest move. A month later, British troops marched into town and burned it to the ground. In 1652, 60-70 settlers had moved down from Fort Orange to an area where the Rondout Creek met the Hudson River, the site of present-day Kingston. The settlers farmed the fertile flood plains of the Esopus Creek side-by-side with the Esopus Indians, the original settlers of the area. Inevitably, land disputes brought the two sides to the brink of war, with both the Europeans and the Esopus Indians engaging in petty vandalism and kidnaping. In 1657, seeing the strategic practicality of a fort located halfway between New Amsterdam and Fort Orange, Director General Stuyvesant sent soldiers up from New Amsterdam to crush the Esopus Indians and help build a stockade with 40 houses for the settlers. Board by board, the settlers took their barns and houses down, and carted them uphill to a promontory bluff overlooking the Esopus Creek flood plain. They reconstructed their homes behind a 14-foot high wall made of tree trunks pounded into the ground that created a perimeter of about 1200 x 1300 feet. By day, the men left their walled village, which Director General Stuyvesant had named “Wiltwyck,” to go out and farm their fields, leaving the women and children largely confined within the stockade. The villagers lived this way until 1664, when a peace treaty ended the conflict with the Esopus Indians.